There are plenty of organizations, including well-regarded insurance companies, that offer programs intended to help you regain your identity, credit, and good name after identity theft. They go by two names that sound almost identical: "identity resolution," and "identity restoration." While both resolution and restoration lead to the same outcomes, they approach the process completely differently. Those that help to "resolve" identity theft are willing to guide you, the victim, through a long and arduous process. Those that restore identity do all the work for you, allowing you to avoid spending a great deal of time and emotional energy in the process. Identity theft restoration services are expensive, but people who use them rave about them. Coupled with a good identity theft credit monitoring program, restoration services may be arguably the best protection from identity theft that money can buy. Unlike identity theft resolution services, which may or may not do any work for you, this is exactly what identity theft restoration services do. The amount of work that you have to put in to recover your identity is minimal, and the outcome (assuming you're working with a reputable company) is guaranteed. In order to work on your behalf, any identity theft restoration service will need some form of limited power of attorney. They usually require you to fill out your initial police report and give them a copy of it as well. They may require you to file a complaint with the FTC as well, and give them a copy of that complaint form. 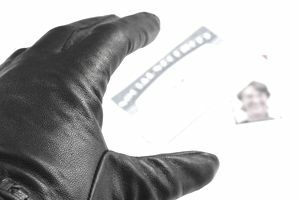 Armed with this paperwork, identity theft restoration services do all the heavy lifting. They make the calls, they send the letters, and perhaps most importantly, they have access to a legal department or an arrangement with a law firm to handle the legal aspects that invariably come up when you're a victim of identity theft. As you might expect, this makes things much easier for them to resolve, because they don't have to deal with customer service reps. Instead, they are talking to other lawyers, and if there's one thing lawyers are famous for, it is making good use of their time. Identity theft restoration services are so effective because they are put together by people who know what they're doing in the first place. The first identity theft restoration service (perhaps the first identity theft service period,) was created by Kroll, a leader in the industry of financial risk and other forms of risk management. Kroll also maintains good contacts at the Social Security Administration and countless law enforcement databases of because they are often instrumental in issuing security clearances by doing background investigations. Other programs that do some form of identity theft restoration are usually run or staffed by attorneys and ex-law enforcement officers. They, too, have a good idea who to talk to in order to quickly resolve any identity theft-related issues and are familiar with the laws that need to be followed. Of course, it's possible to find identity restoration specialists simply by googling. But another good way to be sure you have access to an identity restoration specialist is to buy insurance. State Farm and Allstate Insurance (among others) offer identity restoration insurance products for individuals and corporations. If you choose not to insure yourself, you can always tap into Kroll, Lifelock, or another high-quality company that will work with you.